Awards: Gold Winner of the 2012 Benjamin Franklin Award and the 2012 Independent Publisher Book Award! 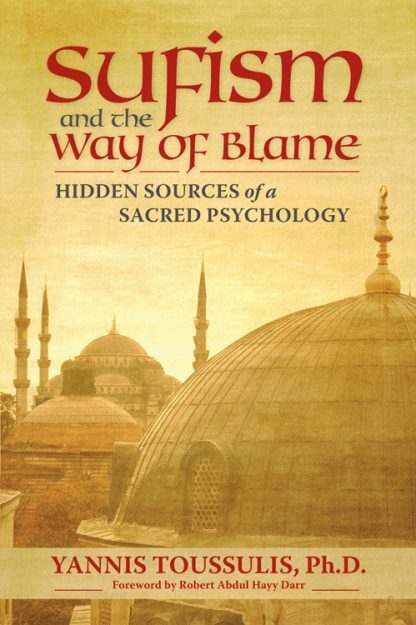 This is a definitive book on the Sufi �way of blame� that addresses the cultural life of Sufism in its entirety. Originating in ninth-century Persia, the �way of blame� (Arab. malamatiyya) is a little-known tradition within larger Sufism that focused on the psychology of egoism and engaged in self-critique. Later, the term referred to those Sufis who shunned Islamic literalism and formalism, thus being worthy of �blame.� Yannis Toussulis may be the first to explore the relation between this controversial movement and the larger tradition of Sufism, as well as between Sufism and Islam generally, throughout history to the present. Both a Western professor of the psychology of religion and a Sufi practitioner, Toussulis has studied malamatiyya for over a decade. Explaining Sufism as a lifelong practice to become a �perfect mirror in which God contemplates Himself,� he draws on and critiques contemporary interpretations by G. I Gurdjieff, J. G. Bennett, and Idries Shah, as well as on Frithjof Schuon, Martin Lings, and Seyyed Hossein Nasr. He also contributes personal research conducted with one of the last living representatives of the way of blame in Turkey today, Mehmet Selim Ozic. Yannis Toussulis, Ph.D. earned his doctoral degree in psychology with an emphasis in human science research from Saybrook University (1995). He also holds an M.A. in psychology with an emphasis in existential counseling and psychotherapy from Lone Mountain College (1975). Dr. Toussulis is former Co-Director of the Consciousness Studies Program in the Graduate Department of Psychology at Antioch University/West, where he also spent over 14 years teaching. For the past ten years he has taught the psychology of intercultural conflict as an adjunct professor at the Graduate School of International Policy Studies at the Middlebury Institute of International Studies at Monterey, and he has also served as an associate faculty member at the Starr King Divinity School at the Graduate Theological Union in Berkeley, California. Dr. Toussulis is presently the spiritual adviser for the Itlaq Foundation which is based in the San Francisco Bay Area, California. Word Masters: Increase Your Word Power!